60,000 employees, 34 contact centers, one goal of giving Filipino school kids a shot at their dreams for a better future. Convergys Philippines, the nation’s largest private employer, launches Give a Bag of Hope - a campaign to bring thousands of school bags loaded with supplies to public school children across the country. The program empowers all 60,000 Convergys employees in 34 locations nationwide to give public school students a fighting chance at their education through employees’ own donations, as well as referring their friends to join Convergys, to which the company will also donate one bag in behalf of every new employee hired from May to July 2015. Want to get more information? 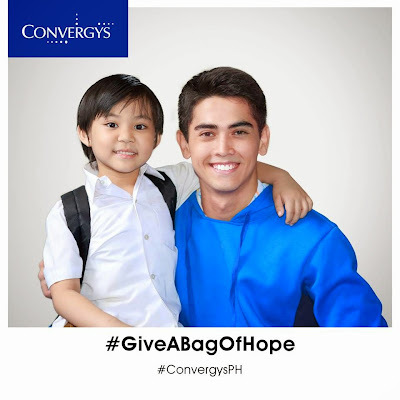 Follow the hashtags #GiveABagofHope, #ConvergysPH, or visit Convergys Philippines’ Facebook page at https://www.facebook.com/ConvergysPhils, and share this story!